Professional Garage Doors Repair in Dubai An automatic garage door will add a lot of convenience to your life. The perfect garage door will work flawlessly and give a great look to your home! If your garage door begins to have problems, you can have it diagnosed and fixed quickly with a garage door repair Dubai contractor. When it comes to the type of garage door you would like, we offer manual and electrical models in separate, roller and sideways hinged styles, as well as popular up and over garage doors and garage door repair. Automatic Gate Door Repair in Dubai All our gate engineers are knowledgeable about every aspect of gate automation and gate maintenance. Including Swing gates, Sliding gates, Security barriers and Garage doors. All our gate maintenance engineers are equipped with all the necessary tools to repair and maintain your gate. We aim to repair 90% of gate systems on the first call out, but occasionally we will need to order or make a special part. If your gate needs a special part it will normally be delivered the next working day. Unfortunately, if you have a problem with your garage door you’re likely to encounter many services whose results are less-than-stellar. You may have had a contractor in the past that said he would arrive and then didn’t. Get your garage door installed correctly the 1st time! If you already have an automatic garage door then at some point it may break. 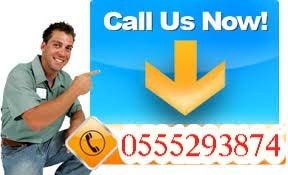 When you need professional garage doors repair in Dubai then call us. Get your garage door fixed correctly with a reliable, reputable business!